A drain or sewer block can be a huge inconvenience, and unfortunately from time to time, hair, grease and solids can cause a blockage. 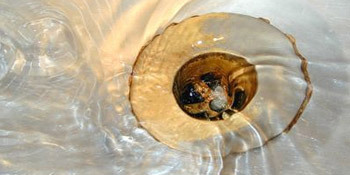 Professional drain cleaners can remove a blockage whilst also stopping a future occurrence. There are many ways to tackle a drain or sewer blockage, such as chemical drain cleaners and air burst drain cleaners. There are also devices that can be used in the event of a large blockage that can remove obstructions throughout the drain’s entire length. These are known as sewer jets or electric drain cleaners. Drain blockage removal is effective and will eliminate any problem quickly with no inconvenience. What type of drain cleaning service will I need? Handheld augers can unblock obstructions up to eight metres from the drain’s opening. They use a long cable which is driven by rotating the drum. The cables are often thin enough to squeeze past sink traps. However, they’re discouraged from use on toilets as the ceramic could scratch. Air burst cleaners use accelerated gas to disintegrate the blockage. Carbon dioxide is frequently used, but normal air and other gases are viable too. Air burst cleaners work best when the blockage is close to the drain entrance and they have a better range than plungers. These types of drain cleaner are essentially longer versions of the handheld auger. It can clear blockages up to 40 metres from entry point as the cable twists up through the piping. Electric drain cleaners should only be operated by skilled professionals as they require a great physical effort to control and can be expensive to buy. High pressurised water is used in this instance to clear pipes and drains. They not only remove the initial blockage but also help to prevent future occurrences. Sewer jetters can be used to remove blockages throughout the pipework’s entire length. Experts are needed in this case as you must be fully trained to operate the machine. Enzymatic cleaners use bacteria to react with sewer residue and clear slow moving drains. They’re often used as a form of maintenance rather than unblocking obstructions. If you’re in need of an expert to remove build-up in your drain or sewer and help your pipework return to normal, you’ve come to the right place. Complete our quick form and we’ll provide you with up to four FREE quotes from local, vetted and fully trained professionals. Price was a little bit more expensive than some of the other companies but they were the ones that could come out quickest. Very professional and friendly service using the most modern equipment. High attention to detail and leaving the job clean. Properties are given an energy rating based on exactly how efficient they are and ratings are displayed in the information down below. This ranges from A, the most energy efficient, to G, the least efficient. With a higher rating you're more likely to have cheaper energy bills as more heat shall be retained in the house. You are able to increase your home's efficiency with insulation including upvc double glazing, loft lagging or wall cavity insulation. There are many types of property in the United Kingdom and the info underneath illustrates the type of houses within Uk. Throughout the country the most common property types tend to be semi-detached and terraced housing, however detached homes, flats and bungalows are also available. The data underneath gives an indication to the number of households in Uk that are central heated and non-central heated. Properties are heated by a variety of sources which reflect how pricey annual energy bills will likely be. Types of central heating include gas, electricity, oil, solid fuel and LPG boilers. Changing the way your house is heated could see you with cheaper bills. The data beneath shows the spread of properties warmed by various fuels. Around the UK the most frequent undoubtedly are gas heated homes, followed by electricity and then oil. Biomass boilers are also growing in popularity, heated by environmentally friendly products like wooden pellets or agricultural waste.|Homes in the UK are heated by a variety of fuels, including gas, electricity, oil, solid fuel and LPG boilers. Each fuel has a varying cost associated with it which means you might find yourself with more affordable energy bills by altering how your property is heated. Even solar thermal panels are being considered by many in order to reduce heating bills for the years to come.